Dr. Conchita Hickey was one of 30 faculty selected across the U.S.
A longtime Texas A&M International University (TAMIU) administrator was part of an important first annual Teaching and Learning National Institute hosted by the Washington Center for Improving Undergraduate Education this summer at The Evergreen College in Olympia, WA recently. 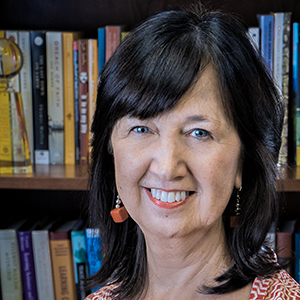 Dr. Conchita Hickey was invited to be one of only 30 national resource faculty members that supported the work of the participating teams. She also presented two workshops, "Principles for Creating a Culture of Assessment and Educational Improvement" and "Imagining, Planning, and Designing Change: Producing a Future History for Student Success." Dr. Hickey directs the University’s “Reading the Globe” program, part of University College. Institute teams developed evidence-based action plans to improve effective instructional practices, student engagement, and student learning and success. They were supported in designing action plans to address specific issues and developed transferable skills and abilities to support work on other student learning issues. Teams focused on developing plans to guide the work of examining, improving, and supporting what happens in the classrooms and other learning contexts across their campuses. Hickey was part of a select team of experienced educators from across the country that facilitated small and large group sessions, and worked directly with teams as resources for the length of the institute. The Institute was sponsored by Achieving the Dream, Inc., the National Institute for Learning Outcomes Assessment, National Survey of Student Engagement, Washington Center for Improving Undergraduate Education, and Washington State Board for Community and Technical Colleges. The 2017 Institute will be held July 30–August 2, 2017. For more about the Institute or TAMIU’s “Reading the Globe” Program, contact Hickey at 956.326.2801, chickey@tamiu.edu or in her office in the State Senator Judith Zaffirini Student Success Center, ZSC 222E.